Genuine Leather Holster for Garden Secateurs. Leather Holster - suitable to carry any of the Greenman or other similar secateurs. Can be worn by threading belt through or by using the convenient and durable metal clip. 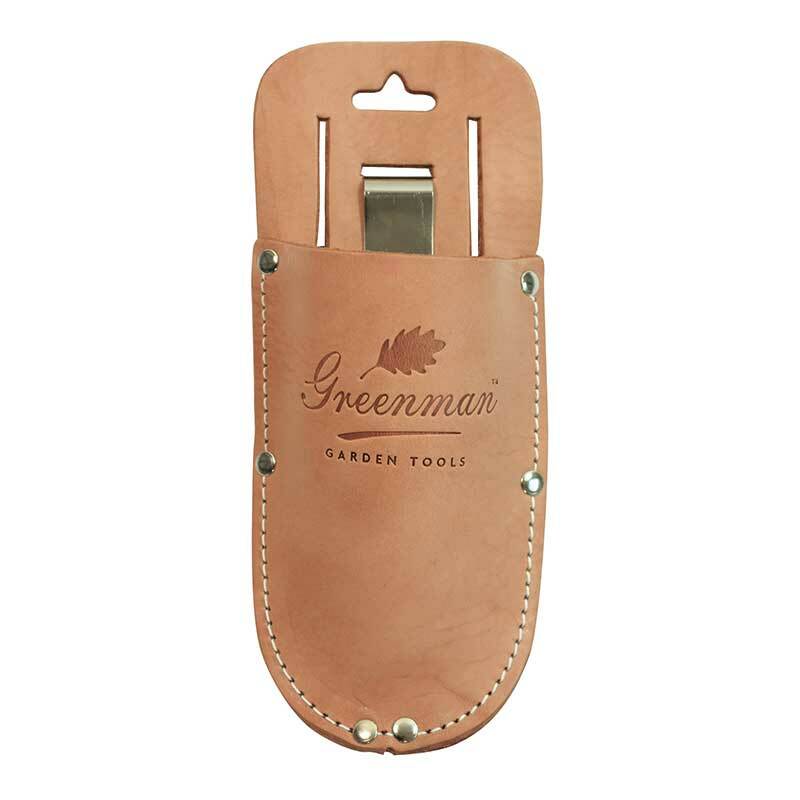 If you would like further information about Greenman Leather Holster for Secateurs, please contact our garden centre at Shawbury just outside Shrewsbury in Shropshire, by calling 01939 251315 or emailing.